When it comes to trailers whether it's video games, movies, or television shows, I'm never really shocked or surprised at what I see. There have only been a few times I have had WTF moments from what I'd just seen. Times like those were the promos for Harper's Island and the trailer for Gears of War. I've just watched this new trailer and I was completely shocked at what I saw because it seemed like a short movie and I couldn't believe how the editors positioned the storyline for this trailer. 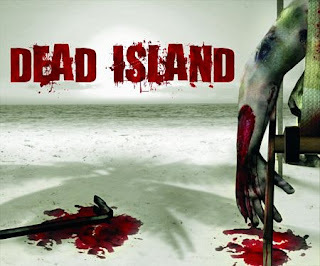 The trailer is for the zombie-horror video game: Dead Island. I've decided to link the video here so that you can all see what I was talking about. The video game looks good but brace yourself because you'll either tear up or be like WTF when you watch the trailer. There's some guy on YouTube who couldn't even make it past like 20 seconds because it reminded him of his daughter or something; that's a funny video to see him freak out and almost cry (though, it was a touching moment). You guys can check that VIDEO out on YouTube. WARNING: This trailer does include violent and gory material that is not suitable for those under the age of, let's say 16 (the rating for the game is at 18 but you can brace yourselves; get real people, it's just a video game). Viewer discretion is strongly advised!